Tesla introduced Summon in 2016, a parking feature that allows owners to cue a parked Tesla to roll out of a garage or parking space. Elon Musk is now promising an advanced version of this technology will enable drivers to remotely control their vehicles using their phones. Musk tweeted that the upgrade to Summon will have Teslas following their owners like pets. “Tesla advanced Summon ready in ~6 weeks! Just an over-the-air software upgrade, so will work on all cars made in past 2 years (Autopilot hardware V2+),” Musk tweeted on Nov. 1. The tech entrepreneur also noted that next year Summon will give Teslas the capability of driving around a parking lot, finding an empty space, and reading signs to confirm the spot is free to use. 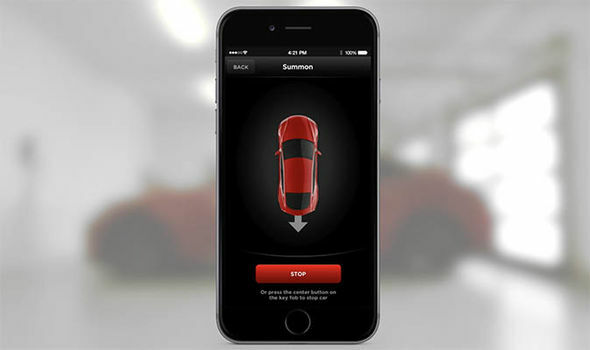 Tesla owners use Summon through their key fob or mobile app. The technology has come a long way since 2016 when Musk initially equipped vehicles with sensors, radar and cameras with the ultimate goal of autonomous driving. And of course, there are those who have ideas on how to improve Summon and other features in Tesla vehicles. “That actor who voiced KITT [from Knight Rider] is still around. I wonder if he would be OK with recording some voice prompts? Could you imagine that voice greeting you when you enter the car and select your preferences?” one noted.